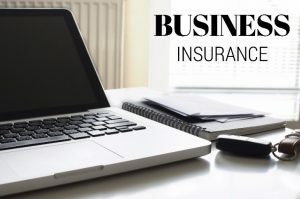 Business Insurance: What Is It & Why Do I Need It? Business insurance protects small and large businesses from losses that occur during the normal course of business. Different types of coverage include liability, commercial property, business interruption, commercial auto, and workers’ compensation insurance. The type of insurance coverage your business needs will depend on what your business does in the day to day operations. A home-based business will need different coverage than a manufacturing business. There are three types of liability insurance: general, product, and professional. A general liability protects a company’s assets and pays for obligations – for example, medical costs – incurred if someone gets hurt on your property or when there are property damages or injuries caused by you or your employees. Liability insurance covers the cost of your legal defense and any settlement or award should you be successfully sued. Typically, these settlements include compensatory damages, losses suffered by the injured party, and punitive damages. Product liability insurance offers primary and excess coverage for businesses involved in product sales, manufacture and distribution across many industries. This type of insurance covers lawsuit costs when a customer sues you over an injury or illness caused by a defective product or service. Professional liability insurance, also called errors and omissions insurance (E&O insurance), protects your business if you are sued for negligently performing your services, even if you haven’t made a mistake. Business interruption insurance helps protect from your lost earnings in the event you cannot operate your business after a covered loss or if the loss causes a reduction in your earnings. This means if you lose income as a result of the loss, you can typically recoup those losses minus the expenses you would have paid in the normal cost of business. Commercial Auto Insurance helps your business cover the financial costs resulting from an auto accident if you or an employee is found at fault. Commercial auto insurance may pay for damaged property and medical expenses – even in the event of a fatal accident. Workers’ compensation provides benefits to employees for work-related injuries or illnesses including medical care, wages from lost work time, and more. It provides a deceased worker’s family with a financial benefit. If a worker’s family decides to sue a company, it can help cover the related legal fees. Hometown Insurance is YOUR local insurance agency. We can help you find and purchase the right business insurance plan for you and your employees. Call us locally at 631-589-0100 or toll free at 800-568-SAVE (7283) or email service@hometowninsurance.com.